Have you heard of the Water Only Washing Method to care for your tresses? Naputal85 recently posted a video tutorial where she talked about her new hair washing routine using this approach. The method itself is not new and must be around for ages, probably ever since people started taking care of their personal hygiene. I call it the WOW Method (Water Only Washing) maybe it’s not original but let’s just roll with it. Wow, seems to be Whitney’s reaction with just a few weeks on this method. She highlights the use of fewer products, a big increase of natural shine, moisture retention and the loss of less hair with this method when compared to co-washing her hair. Water only washing is a no-poo approach to cleansing your hair just like co-washing (conditioner washing). When I came across this notion I thought, “Our hair can’t possibly be clean with just water”. What about the smell, what about bacteria growing on your scalp? 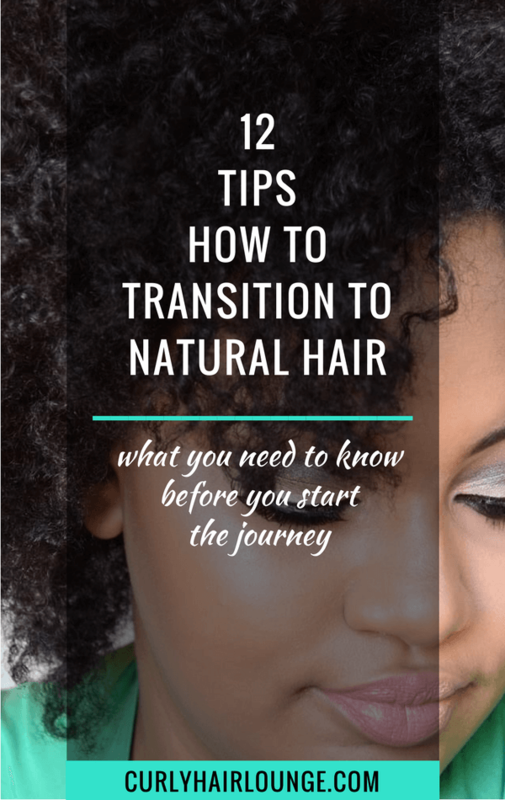 I must admit I quickly dismissed subscribing to this approach without looking into it, and it was only when Naptural85, a natural hair Guru on YouTube, talked about it with such enthusiasm that my curiosity was piqued. The main argument behind the method, one which steers you into using just water to wash your hair, is one which I believe all of us transitioning or naturals already acknowledge and/or have taken steps towards it by cutting the use of harsh surfactants in our hair products. 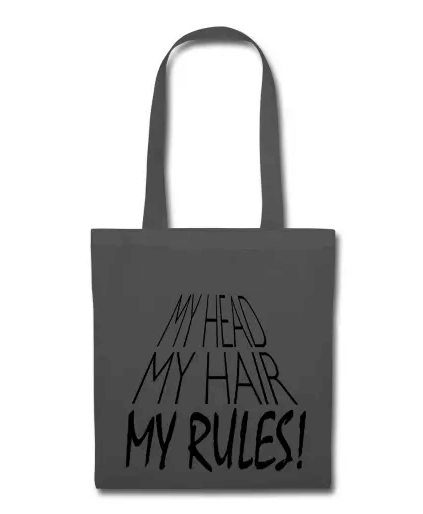 Of course, you can go low-poo (sulphate free shampoo), but that won’t solve the problem. 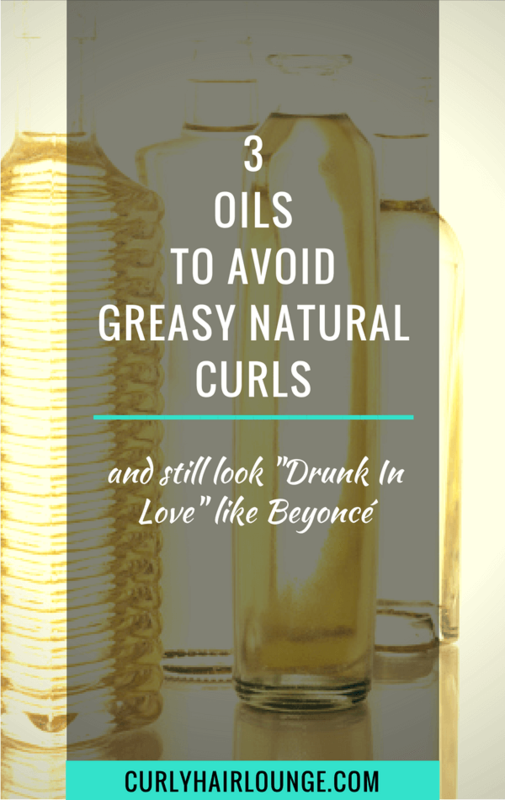 You’d still be removing the natural oils just not so aggressively as to deplete your hair completely. Co-wash then?! Our hair will certainly be more protected. However, a no-poo approach such as the WOW one, calls our attention to the environmental impact of the chemicals used in hair products that are washed away into our soils and the use of product containers that end up in landfills. There’s also the economic impact of spending money excessively or needlessly. 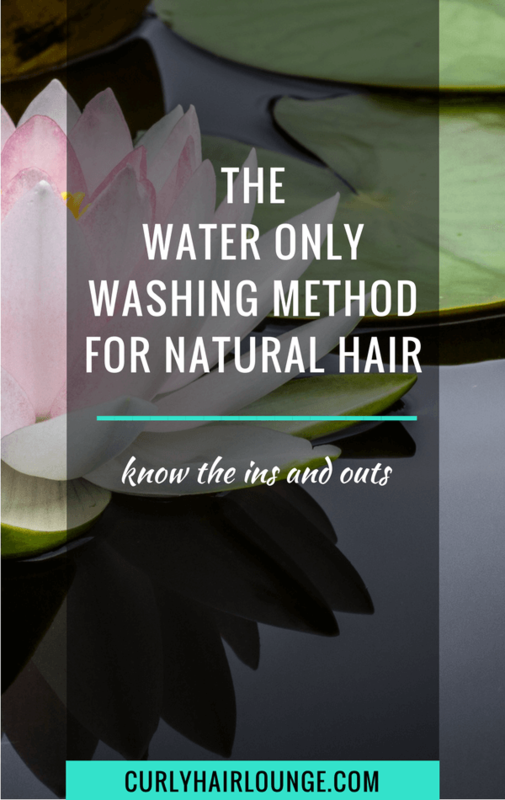 The WOW method seems to follow these concerns to the letter and suggests that washing with only water is the best solution, not only for our hair’s health but also environmentally and economically. Washing with water doesn’t contaminate the soils with chemicals, doesn’t produce waste and it’s basically free. Plus, cleaning our hair with just water won’t remove sebum from our hair. The claim behind this approach is that by washing our hair with just water, we allow the sebaceous glands in our scalp to produce sebum that will eventually cover our hair from roots to ends to protect, nourish and moisturise it as it is supposed to do. Back when I dismissed this method, I noticed that many Caucasian ladies used this method to help them decrease the production of hair sebum that left their hair greasy. The thing is their hair got greasy because they used shampoo frequently to remove the sebum. In turn, the sebaceous glands produced more sebum to protect their stripped hair. A vicious cycle I know! Now, with Whitney’s account, I thought “But how can this help natural curly hair, when we don’t want to decrease sebum production?”. If anything, we want to increase it so that it covers our hair. If you’re curious and want to discover if this method can work for you download the Free worksheets I put together for you. 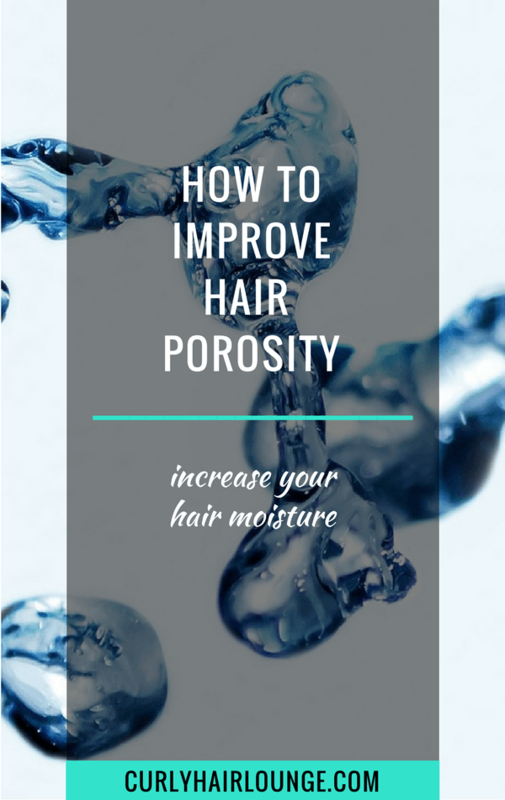 According to what I read so far about this method in hair forums, blogs and YouTube videos supporters use water to wash and maintain their hair. Yeah, I know it sounds crazy. I can just imagine my hair turn itself into a giant ball of tangled, dry and frizzy hair that would quickly start showing the signs of moisture loss (a.k.a. breakage in the long run). Still, followers seem to say “Fear not! This won’t happen”. As you stop using hair cleansing products and move to water only, your sebaceous glands will continue to produce sebum and this will eventually cover your hair to do all it’s meant to do. If you’re anything like me you’re thinking “Really?!? Can this film forming oil alone prevent dryness, frizzy hair, tangles, breakage, and so on?” It just sounds too good to be true. Nevertheless, just as for decades we couldn’t conceive anything other than to “chemically straight our hair to look pretty”, maybe we’re also under the industry’s spell that we need shampoos/hair cleansers to clean our hair. Therefore, let’s consider the basic steps if you want to start doing the WOW Method for natural hair. 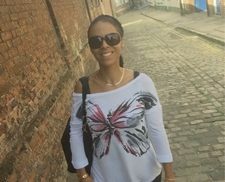 Clarify Your Hair – As I’ve said in a previous post when starting out on a new hair method you need to clarify your hair so you can better assess your hair’s health and achieve better results. Doing this will deeply clean your hair of any product build up or hard water minerals and provide a clean start. 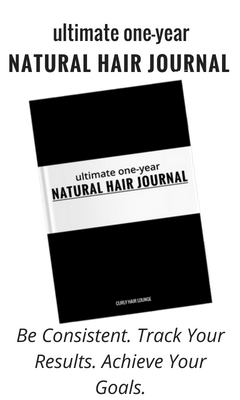 If you want to read more on why you should clarify your hair read this article. Scalp Massage – Before any washing procedures, you need to massage your scalp with your finger pads to help stimulate sebum production and to help spread it evenly across the hair shaft. Section your hair and focus on each section separately. Water Wash – Hop into the shower and saturate your hair with water. Then focus on one section at a time soaking, massaging the scalp and stroking the hair in a downward motion to help spread the oils. Do this to all sections. Brush Detangling – Under running water detangle your hair with a brush, this will also help the sebum cover the hair length. No Hair Products – The method does not indicate the need to use any products to maintain your hair. Sebum is all you’ll ever need for your hair. I did find that some people apply a vegetable oil or butter at the ends while the hair is not fully covered in sebum. 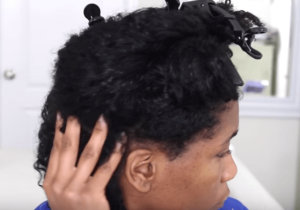 Air Dry/Protective Style – You can air dry your hair, but while your hair is not completely covered in sebum and during the adaptation stage it’s probably best to keep you hair in a protective style to protect it and because in the beginning there can be an overproduction of sebum that can make your hair look greasy or waxy. 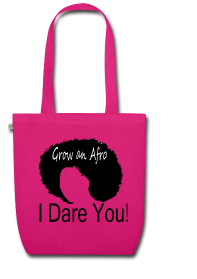 This way you will avoid dryness, breakage and an unkempt look. With the discontinued use of shampoos and cleansing agents, this method is supposed to decrease the sebum production that afflicts Caucasian hair. With the exception of clarifying your hair, which should be done when you’re starting this method, all other steps should be done on a daily basis to help hydrate your hair and evenly distribute sebum. Once sebum reaches the ends of your hair you can skip a few days without washing. I know there’s probably a few red flags coming up for you and they also flared up for me. First of all, we don’t want to decrease sebum production we want to normalise it since too much of a good thing can also clog the pores and cause other issues. 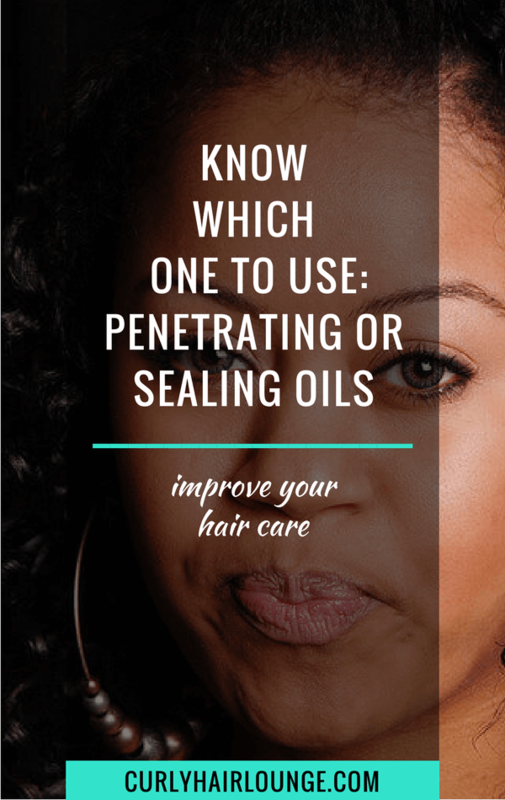 As we all know the shape of curly hair makes it hard for sebum to travel along the hair shaft, that’s why it’s very important to massage the scalp and hair to help “move” the oils along the hair shaft. However, a second problem arises here. Using a brush for this seems to invite trouble to walk in freely because even if it doesn’t “hurt” your hair when it’s already covered in sebum while you’re transitioning into this method, naturally dry and curly hair is stripped and can break very easily. If your hair is long the wait will be long and agonising. Thirdly, there seems to be too much hair manipulation with all the daily massage and hair wash, which as we know has “breakage” written all over it. But from what I gathered in my investigation people adapt this method to serve their hair needs. 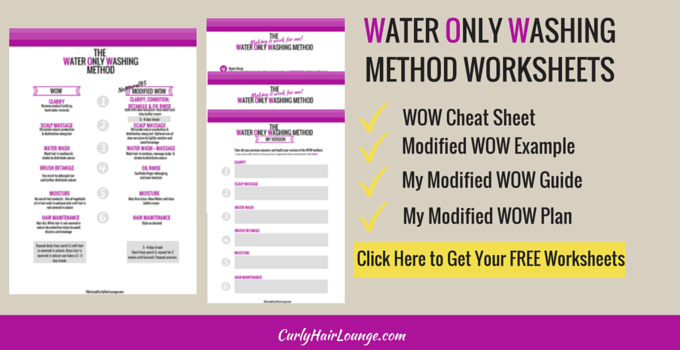 Again, if you want to discover how you can do this for you download the free Worksheets for the WOW method and build your own modified version. Let’s see how Naptural85 was able to adapt the method to fit her hair needs and work around some of these issues. Scalp Massage – In the shower, massage your scalp to facilitate and distribute sebum. Water Wash and Hair Massage – Wet hair in sections concentrating on massaging each one individually and finger detangle at the same time. Oil Rinse – do an oil rinse to help detangle and to seal all the moisture in. 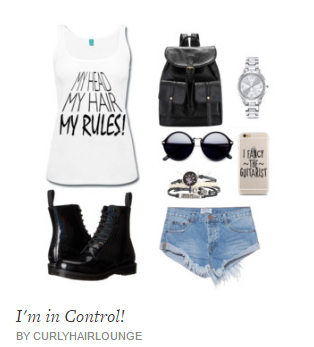 Proceed to style your hair. Style Your Hair – to style her hair Whitney applied some of her shea butter mix plus her Aloe Vera and rose water. Follow this by making your favourite styles (twists, braids, Bantu knots or whatever you like). As you can see the hair is not washed every day, she doesn’t use a brush to detangle her hair and she applies products to seal in moisture. She will do this process every 3 to 4 days for two weeks, then she co-washes to stimulate sebum production since we don’t want to decrease it and then she repeats the process again. I know that applying butters on her hair kind of defeat the purpose of using only water as you will eventually need to need to use a cleansing agent to remove build up (read more about build up). Nevertheless, as you can see Naptural85 made things work for her and so far she is very happy even though she’s new to the method. Here is her video for you to witness her benefits. I don’t know about you, but I am still not completely convinced. I still have a few doubts and I’m sure I’m not the only one. You can address the hair odour with hair rinses (essential oils) or the waxy hair look with oil rinse or warm water to emulsify sebum, but I think there is something important we’re forgetting here. As much as we adapt the method to our specific needs, and as much as we like to wear our curly hair out as it naturally is, many of us (if not all) like to take full advantage of our hair’s versatility and many times that can only be achieved with the use of hair products that will eventually create build up. What about hard water minerals and chlorine? 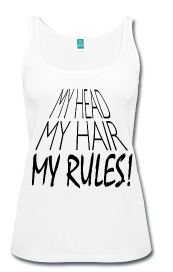 What about when we want to wear our hair straight and use a heat protector? Yes, we can use a clarifying or chelating shampoo or a more natural solution such as ACV to fix this, however, you would have to be going through all the adaptation period again – from your hair being stripped of sebum to being covered in it again. 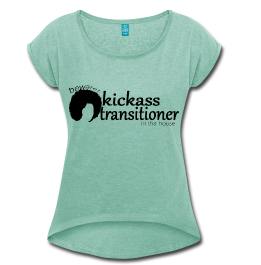 For some people, it can be an easy transition, but for others not so much. Many people complain of sebum over production and difficulty disguising waxy and greasy look even after a few months. Why would you want to go over this a few times a year? 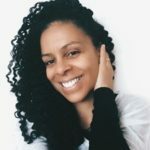 It just sounds like too much hassle, and although we all want a simple hair regimen with, fewer steps and few products the water only washing method just doesn’t sound doable or worth it to me. Maybe some of you natural ladies following this method will convince me otherwise. How does method sound to you? 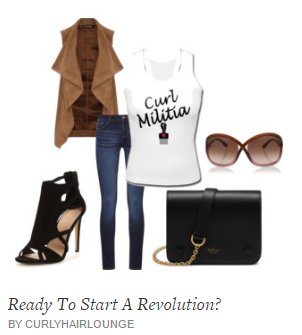 Are you curious but want to find out how this method can work for you and your hair needs? Simply download the FREE worksheets, work through them and in the end you’ll be able to come up with your own WOW version or you can just follow the original WOW method. To make this easier for you, there’s a cheat list in there for you too. Have you heard about the water only washing method? Would you try it? What your opinion on it? ⟵What Is Product Build Up? Monica, I really enjoyed this post. I’m a Caucasian male, but my wife is African, and I am certainly going to show her your website. I appreciated your thorough presentation on the benefits of “Water Only Method” for washing hair. Makes perfect, common sense, really, but the way you laid out the facts was convincing. And the video was great too. Got this site bookmarked so I can show it to my wife! Cheers Marvin, thanks for your feedback. Hope your wife enjoys the article! I have never heard of this method until now. Talk about a money saver alone. I will definitely be trying this over the next 2 weeks to see if it works. 1. I watched the routine, but for a male with hair not down to his shoulders, should I just scrub or just rinse really well? 2. We already use naturally made shampoos (ones without all the chemicals), will this suffice as well? Hi Chris, I’m not an expert myself on this routine, but from what I researched you should scrub (massage) the scalp to release dead cells, dirt, stimulate sebum production and avoid clogging pores. As for natural shampoos (no chemicals) some people do use them as it doesn’t remove sebum. Nevertheless, if you want to follow the method you’d still need to do all the rest. I have heard of the water only method, like you, I just couldn’t imagine it actually doing anything positive for my hair. Again, like you, I wandered about the smell and bacteria. However, I will say after reading this article, I am actually going to give it a try. The worst thing that can happen is I will need to go back to using shampoo. I do know about the natural oils that our bodies produce. The thing that concerns me is that tap water generally clog up our pores because of the sediment. With that being said, I am definitely going to give it a try and see how it works out for me. Hi Lb, glad you got curious enough to consider trying the method. If you’re really going to try this method please come back and share your experience here. I’d love to know your account. If you are worried about water sediments you can do an apple cider vinegar (ACV) rinse to remove all that. Read this article to know more. I have been washing my naturally curly hair and my son’s with just water for years. It gets it clean and stops it from drying out. Glad to know you’ve been doing the WOW method and it’s working out for you and your son. It’s a method that caught my attention because I think it can actually be beneficial for naturally curly hair or any other hair type. The only reservation I have with it is having to go through all the adaptation phase if I use a heat protectant or if I remove build up (from products or minerals from water). Some people have a hard time…I’d love to know if you have this problem or not. I have been WOWing my naturally curly hair for about a week and a half now and I couldn’t be happier. 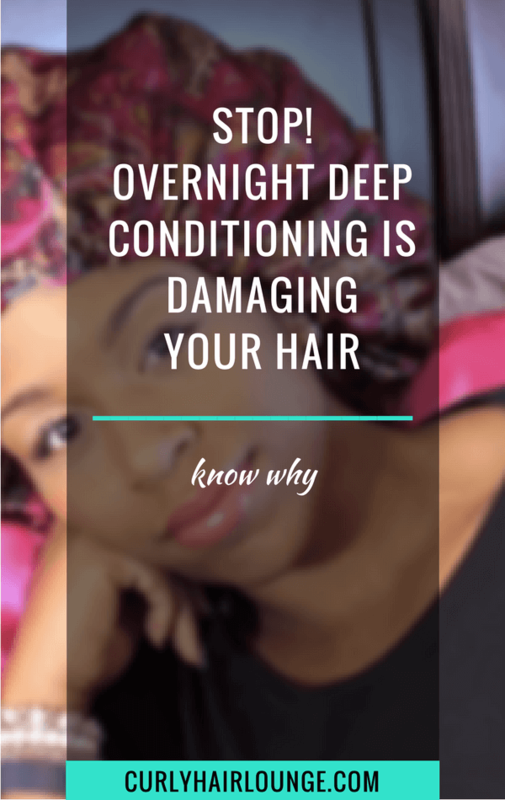 I had been straightening my hair because I was tired of the curls but because the straightened hair looked really stiff at the beginning of this process I opted to rinse every day and let it dry naturally. Until I thought to try this I was a bit discouraged but, like so many others, I am glad I have stuck with it. I found a couple of tips I thought I would share: do the warm rinse and scritch the hair at the roots to stimulate the scalp. Then use your fingers to move the oils down the shaft, and lastly finish up with a cool rinse to close the cuticles, which helps to eliminate fly-aways. I use an old t-shirt to dry my hair although a microfiber towel works, too. I actually put the t-shirt over my head like I am putting it on but use it as a turban. The downside is that it takes longer to get the hair to quit dripping but I keep it on while I moisturize and then squeeze my hair to get the rest. I usually then just adjust a few rogue strands and let it dry, which it does very quickly. I do seem to have well-producing oil glands which is why I rinse every day. I am hoping that in a short time, once my oil glands realize they don’t have to work so hard, I can start skipping days but since I am not using any heat or product I do not feel bad with this routine. I’m glad the WOW Method is working out for you. So you have been doing it for a week and a half and I’m curious about how it’s coming along. At the beginning, when trying this method, did you feel your hair was dry or did you do anything to avoid dryness and breakage while you waited for sebum to cover your hair? You say you moisturise your hair after you rinsing and keeping it in a t-shirt, how do you moisturise it? Do you use any product? I apologize … I meant while I moisturize the rest of me. 🙂 Other than brushing the oils down the shaft and rinsing with warm water I am not doing anything to my hair, and I use no product at all. I have had a healthy bit of oil since the very beginning. The research I did said to make sure you wash your brush so you aren’t using “last week’s oil” on your hair but I have to wash my brush every day. 🙂 I did get my hair trimmed last week since I had an appointment (my hairdresser is used to my eccentricities so it wasn’t a huge surprise I went WOW) so split ends are not an issue at the moment. I am still really happy now almost three weeks in. I like the way the curls lie except for my bangs but they were shaped for a straight look so I have to shape them to look the way I want them to. II have taken to pinning them with a bobbie pin, which looks kind of cute. The most amazing part to me is that I used to use so much product to get my hair to do what it actually does better on its own (if that makes sense). I don’t have frizz or fly-aways, either, and now I don’t care if it gets wet. It is really interesting that the work is on the front end of the shower now instead of the back. I scritch and brush before I shower and then spend almost zero time once I wrap the t-shirt around my hair. WOW, I am getting jealous of those easy curls you’re talking about. I may actually have to reconsider giving the WOW method a chance. One thing that puts me off is the fact that if I want to straighten my hair I have to use a heat protectant and then I’ll have to start everything from scratch. Doesn’t sounds fun even though I haven’t straightened my hair in over 3 years. Additionally, having to brush every day sets alarms off for me. What brush do you use, a bristle brush?! Won’t stroking to move the sebum along your hair work the same? You say you don’t have split ends (Super! ), what about breakage do you notice any now or in the beginning from all the brushing? What about odours, dirt? You only use water, really? Amazing!! Keep us posted here, I’d love to know how things are moving along. I heard about this a while back. I have no doubts that it works but since I’m doing the crown and glory method currently this will have to wait or at least for the next three months when I take these braids out. Ah naturale forreal. Lol! Glad I found this website. Super informative. Awesome post!!! So glad to see that more and more people are realizing all of the benefits of the WOW method. I have been doing the WOW method for over two years and the results are truly amazing. I have 3c/4a textured hair and I have full sebum coverage. My hair is the ultra soft and healthy and the thing that thrills me the most is that I am able to visibly see all of my naturally defined ringlets and waves without using any product whatsoever. The only product that gave me these types of results was Ecostyler gel but I always hated the residue it left on my hair and also the way it made my hair feel. Plus I love saving money and doing something that is good for my hair and the environment. I am now only 2 inches away from achieving my goal of waist length hair and I have the WOW method to thank for that!!! FYI, I don’t ever use a brush on my hair…I just use my fingers to distribute the sebum from my scalp down my hair and I actually do it while I am in the shower or washing my hair in the sink under running water. I am all about minimizing the use of hair tools and instead using my fingers to detangle and smooth my hair. This really helps to minimize hair breakage. I feel jealous of the fact that you manage to have a hair routine without using any products. That is something else!!! I am curious to know how easy was the transition phase to the WOW method? Do you ever straighten your hair and if so, you have to start the all process again, with long hair that must be hard?! Thank you for contributing to the discussion of this topic, Patrina. I’ve been using WOW for 1.5 years. I have fine strands with 4a coils. During the transition phase I simply put my hair in medium twists and put olive oil on the ends. Anytime I have to redistribute sebum don’t wash daily, maybe every 2-3 days but I do scritch and finger distribute daily (spraying with warm water helps move things along the shaft). As long as my fingers are coated in the sebum as I preen, breakage doesn’t occur. Once full sebum production is achieved I water rinse maybe once a week depending on how dirty the scalp is. I try to scritch and preen every few days as you would normally use a moisturizer. At the very least I make sure to do a scalp massage. I do not have to use a moisturizer on my hair but I do use olive oil on my ends if I feel my hair needs it. Always massage the scalp prior to washing, it makes the process easier. I don’t use a brush at all. I fingercomb my coils only which is easy in a wet or dry state as the sebum provides a buttery slip. If I ever want to define my coils it’s easy to get that look with this method. I don’t use styles, gels or deep conditioners and my hair always feels balanced. When I used products I always had to figure out how to balance moisture and protein and make sure the products I was using worked a certain way, and then hope they don’t change the formula, go out of business, or just be too expensive. My hair is thickening up and finally gaining length. If I need to clarify I use ACV to decrease but not strip the sebum. Staying hydrated has positive benefits for sebum production. I noticed, Monica, that you mention what happens if you have to use heat implements. Well your assumption is correct in that you will need to wash those products out and you would need to start the process again. 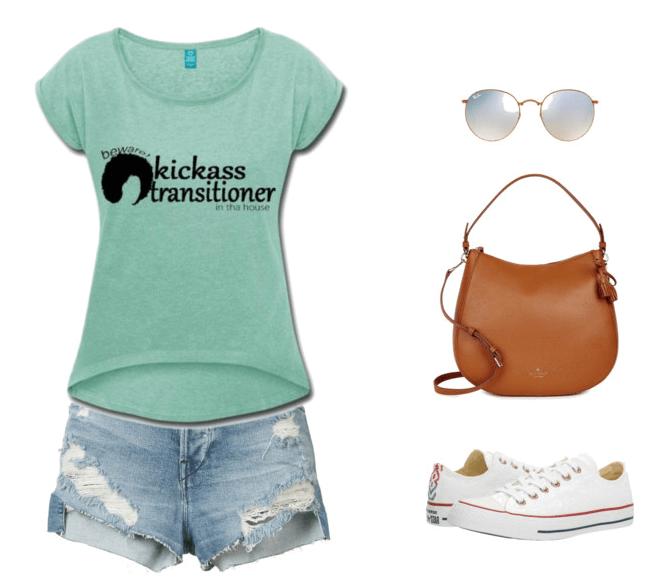 The transition depends on your oil levels though. I can wear my hair in a wash n go look if desired but mostly I wear my hair in stretched twists pinned up. I do not personally use heat implements ever so use this method at your own risk. So I’ve been using the WOW for about 4 days now. The crown of my head feels waxy, the bang area is frizzy and the back of my head…well my curls are poppin. With being 4 days in it is worrying me about the waxy feel of my hair at the crown. It does have a slight greyish tint to it when completely dry but nothing embarrassing. I haven’t noticed a smell and my scalp looks nice and clean. I protective style while still in the shower meaning a few twist up from and a French braid down the back. I let it air dry, and in the morning I take it out. I have big hair albeit a little frizzy still looks amazing. Oh and I only finger detangle. I know I’ve skipped around a bit but I type the way I talk lol. Hey Angel, thanks for sharing your WOW journey. Maybe you just need to distribute the sebum better, maybe it’s a question of doing it for a longer period of time, but hey congrats for the bravery (yeah, I do feel you need to be a little bit brave for the WOW). But you’re winning me over more and more… 🙂 Keep us posted on how it’s going up in a few weeks or so. I’d love to know. Yes, I’m also really fascinated by this method too, especially when you read other people’s good experiences with it. 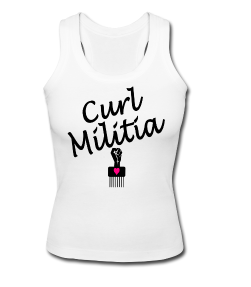 I don’t have any idea how protective styling would fit into this method. I don’t see it working in the beginning because you need to smooth/spread the sebum along the hair shaft first. Afterwards, it may work but what about the sebum your scalp keeps secreting? ?… I hope someone doing this method will read this and can clear our doubts, Jhatiere. To know if you have hard water in your area you can buy pH strips, dip them in a glass of water and check your results according to the brand’s guidelines. You can also call or check the website of your water supply company, they should have that information there. Hi just want to know if I can dry my hair with hair dryer after wow method? Hi Maria, If you are using direct heat (blow drying, flat ironing, curling wands and similar) you need to use a heat protectant to avoid damage and to remove it you would need to use a shampoo to remove all the silicones that are in a heat protectant. If you’re just diffusing your hair you wouldn’t need to use a heat protectant (but you can if you want to.) Hope this helps. I started water-only washing about 1.5 years ago and it has literally changed my hair. I am Caucasian and have extremely fine hair. Pretty much any products I used weighed my hair down, dried it out, and eventually actually made patches of my hair begin falling out. Transitioning to WOW was definitely challenging — dealing with the over production of sebum during the first few weeks wasn’t ideal, but I ended up mostly wearing it in a bun and it was ultimately fine. Now, I get tons on compliments on how great and healthy my hair looks (and strangely even get comments about it smelling great despite using no products). It is also fuller and thicker than it’s ever been (and the patches of hair loss have since grown back). It makes my life so much easier. The texture is more defined than it has ever been, it dries super quickly after getting out of the shower, and all I do to style is comb and scrunch (after showers), or spritz with water and scrunch (for 2nd, 3rd, or even 4th day hair). If you can get over the stigma around not washing your hair, I can’t recommend this method enough. I will never use shampoo or products on my hair again! Wow! Thanks for sharing Jennifer. I’m so curious?! I couldn’t imagine doing it myself… Do you ever go to a stylist? What do they say? How do they take care of your hair? What about going to a pool or beach how do you deal with it?